Fuchsias were first discovered in the Dominican Republic in the late 17th Century by Father Charles Plumier, a missionary and botanist of that time. 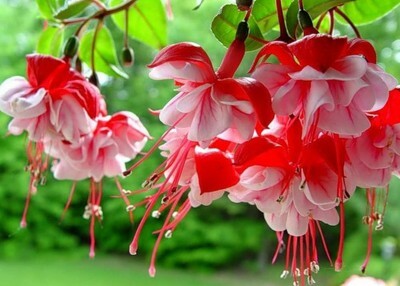 He named the plant Fuchsia triphylla coccinea after Leonard Fuchs, a German botanist who had died 100 years earlier. Since the discovery of the species, they have been hybridised many times until we see the vast range of varieties that can be found today. 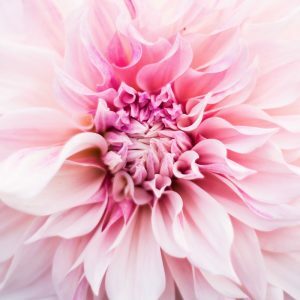 They are very free flowering, have various growth habits and flower shapes with colours that range from the flamboyant to cool white. 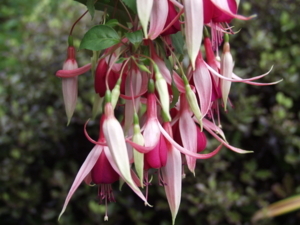 Fuchsias are particularly good for that semi-shaded site giving a long display of colour. 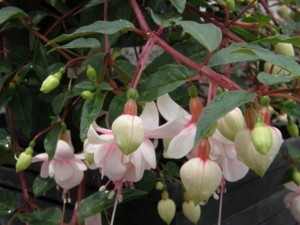 And best of all, our Fuchsia are home grown here on our nursery in St. Albans, all 11,000 of them! 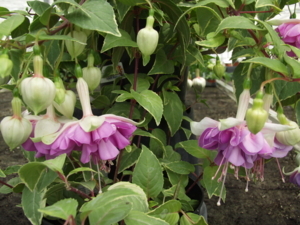 Fuchsias are another of our specialities, in our production nursery we grow over 50 different varieties, so you are sure to find a Fuchsia within our selection for any situation in your garden. 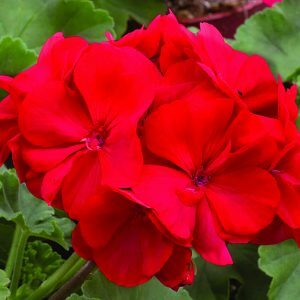 Once you have started growing this fascinating plant – you will not be able to stop adding to your collection as the range of colour and flower shapes is vast. 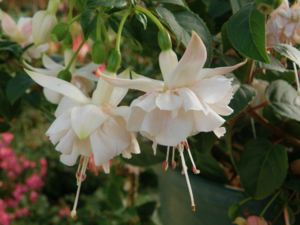 Following the Royal Horticultural Society method of classifying plant hardiness we rate the varieties we grow clearly on the plant label so you will know what sort of Fuchsia you are purchasing. 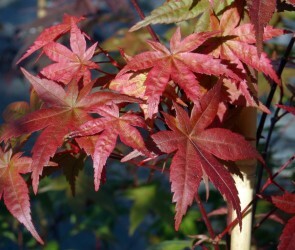 H1 varieties are non hardy, these will require winter protection or should be treated as a summer annual. Those rated as H2 are semi hardy and if you would like to keep them from year to year will need winter protection in a cool greenhouse that is frost free. 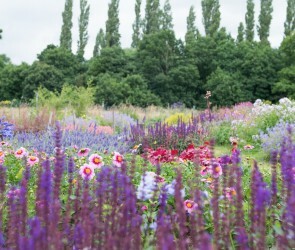 H4 varieties are hardy and will successfully over winter in a garden border. 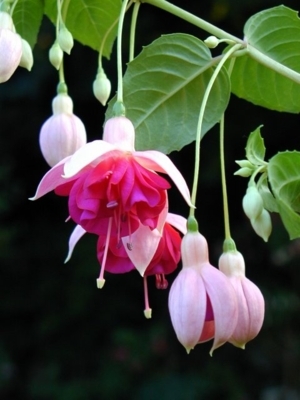 Some varieties of Fuchsias are more upright in their growth habit so are ideal for the centre of baskets and containers, whereas the trailing varieties are more suited for planting around the sides. 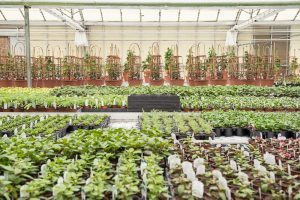 The plants are available from our seasonal bedding greenhouse starting at the end of March and continuing throughout the summer with larger plants ideal for adding spot colour in a garden border.